It’s easy for me to forget that history is literally all around us- sometimes we just need to do a little searching. 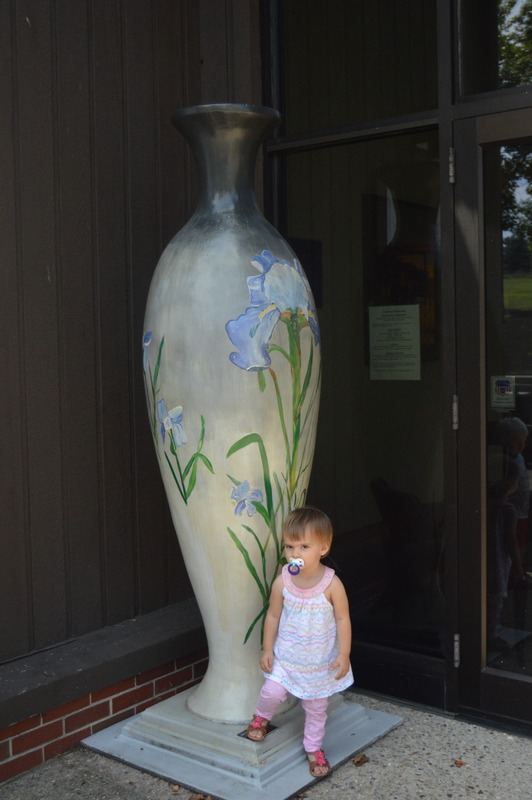 This week our family found a local jewel in the National Road & Zane Grey Museum. The museum is located only 10 minutes east of Zanesville in Norwich, OH on US 40, the National Road! 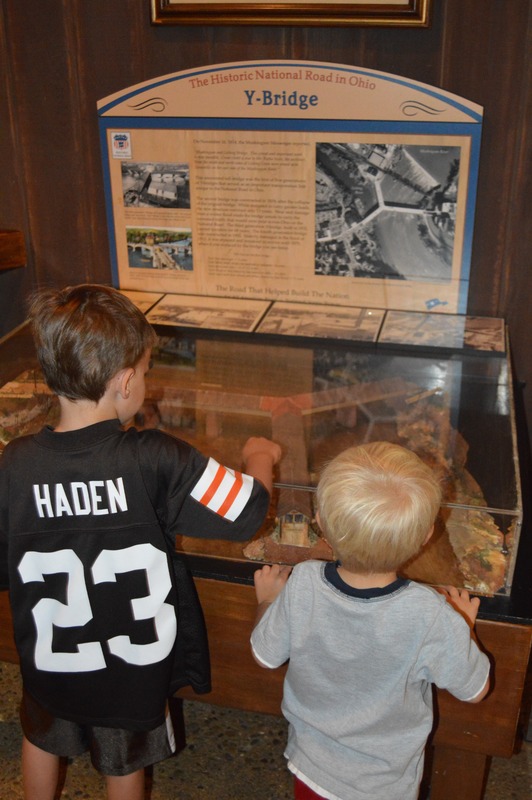 Run by the Ohio Historical Society, the museum features three exhibits focusing on 1.) the building of the National Road 2.) Zane Grey, a local author who penned more than 80 books and 3.) local pottery. When researching the museum, I wondered how our young family would take to these mature topics (especially 2 & 3) but there was so much for them, especially my boys. I would highly recommend that all ages visit. The museum begins with a diorama that measures 136 feet! This diorama showcases the numerous stages of building and travel on the National Road, the first “artery to the west.” The boys loved so many parts of this! Olen was mesmerized by the little figures cutting down trees and herding their animals on the road, while Jackson loved the section on the building of bridges and the beginning of railway travel. As you walk around the diorama and learn about the evolution of the road, you also have full-size visual representation through a Conestoga wagon, Model T ford, and other carriages and cars from the time period. 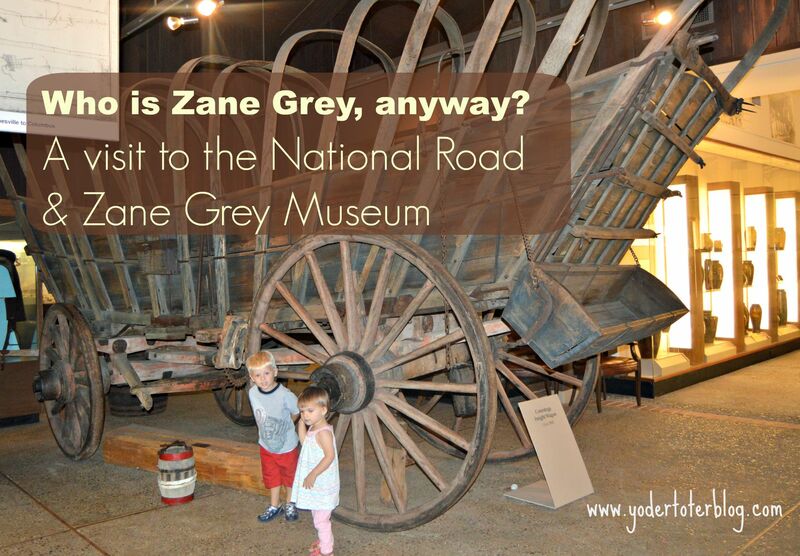 The next section of the museum is dedicated to Zane Grey. Grey was an American author born in Zanesville. In his colorful life, he wrote mostly Westerns, some that were turned into Hollywood movies. While much of this material was too mature for the kids, they were fascinated by many of the artifacts, thinking these were the things of “cowboys and Indians” (oh boy!). We did not spend much time in the pottery exhibit. This is something I would like to come back and learn more about, but attention spans were fleeting and well, glass and little ones do not mix (although it WAS out of reach of children- thank goodness). Considering a visit with kids? The museum is handicap-accessible which means you’ll easily maneuver your stroller throughout the entire place! There are picnic tables on the property. If I had to do it over again, I would have packed a picnic lunch. Check the National Road & Zane Grey Hours on the Museum Website. P.S. 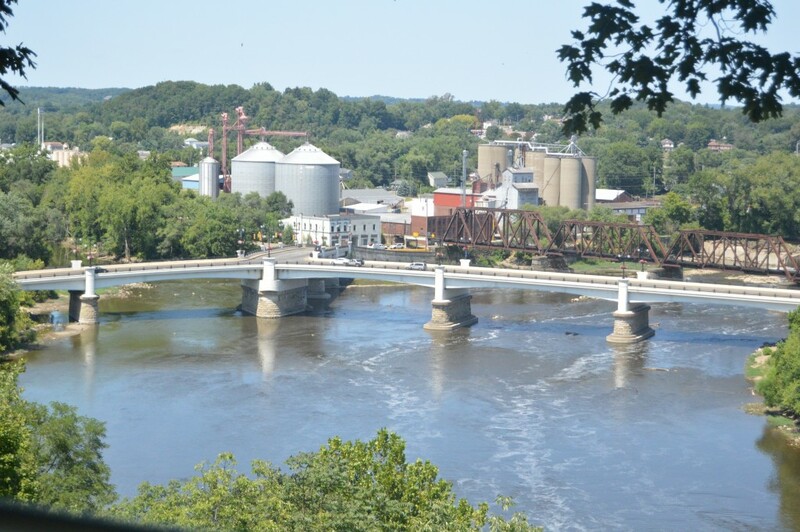 If you do decide to go into Zanesville, head up to Putnam Hill Park and check out a hilltop view of the Y bridge. It really brought our learning to life – as the kids were able to see how the bridge changed from when it was originally built!